Light Space & Time Online Art Gallery is pleased to announce that they have entered into a joint effort with ArtsyShark to create and maintain a “For Sale” online art gallery for their best artists in order to help them sell their art. Jupiter, FL, USA (April 24, 2015) — Light Space & Time Online Art Gallery is pleased to announce that they have entered into a joint effort with ArtsyShark to create and maintain a “For Sale” online art gallery for their best artists in order to help them sell their art. The gallery is named the “Signature Artists Gallery” and it can be seen and accessed on ArtsyShark’s and LightSpaceTime’s Pinterest pages. 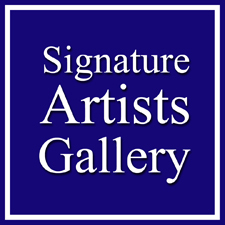 Signature Artists Gallery is a joint effort by ArtsyShark and Light Space & Time Online Art Gallery. Both gallery’s will showcase their best artists, by invitation only, to pin their for sale art on this special Pinterest Board. All sales are direct with any of the participating artists and without any commissions. The Pinterest Pages of both websites, ArtsyShark (http://www.ArtsyShark.com) and Light Space & Time Online Art Gallery (http://www.lightspacetime.com) have a combined 250,000 visits per month and a combined 13,000 impressions per day, thus insuring a large audience reach for any artists who avail themselves of this Pinterest Board. There will be separate guidelines for artists to be able to post their for sale art for each gallery. As an artist you may contact each website to see how to you may qualify to have your art be included in the Signature Artists Gallery. Light Space & Time Online Art Gallery conducts monthly online art competitions and monthly online art exhibitions for new and emerging artists on a worldwide basis. The art gallery website can be viewed here: http://www.lightspacetime.com. This entry was posted in Arts, Entertainment, Press Releases and tagged art gallery, artists, artsyshark, lst, online art gallery, signature artists gallery. Bookmark the permalink.